In the following blog post I will be discussing things like leaky breasts and menstruation, so if you’re not female or have not experienced leaky orifices, you might want to pass on this one. I don’t need the nursing pads, but they’re really nice especially for disposables. Unlike a lot of the other brands, they contain no dioxins (linked to cancer, endometriosis and immune system problems). They also have no plastics. Plastic backed nursing pads are bad because they aren’t as breathable and therefore encourage breast yeast infection. Some of them also contain perfumes that can be irritating to babies. I did use the pads – for overnight use. I normally use cloth menstrual pads but these were nice for overnight use. My cloth pads are sometimes not absorbent enough for nighttime and lead to leakage (warned you!) but these kept things nice and tidy. Dioxin free pads are especially important when worn in such a sensitive area! My favorite was the baby wipes. These were so nice to clean my youngest after a particularly B.M. where tissue proved inadequate. They smelled soooo nice, probably because of the apricot oil. They are also paraben free and contain no propylene glycol or sodium laruel sulfate which most of the other baby wipe brands contain. They’re also made from organic cotton. 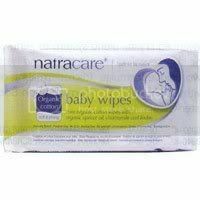 Big thumbs up to Natracare for being concerned about mothers and babies and creating a line of products that are eco friendly (being 90- 100% biodegradable and compostable) and safe (no petroleum derived ingredients). These sound awesome! I had no idea they were out there! If I don’t win, I will definitely be buying a pack to try! Thanks! Carrie I would love to try these, I am still nursing and love trying new things. Thanks! This is very useful information. Green living has been my choice for our baby and my family. I have written a short article with a list of some of the best places to find organic products for baby and mom.